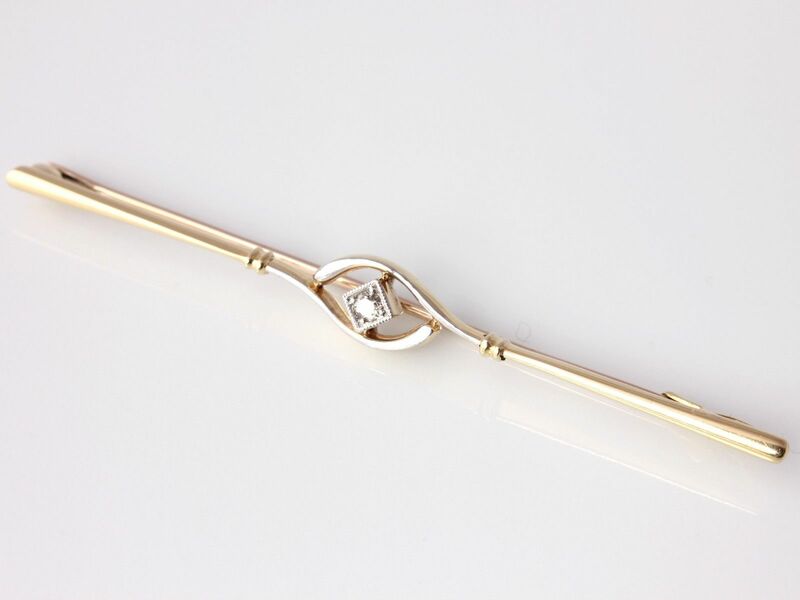 15ct Gold & Old Brilliant Cut Natural Diamond Pin Bar Brooch in Case. 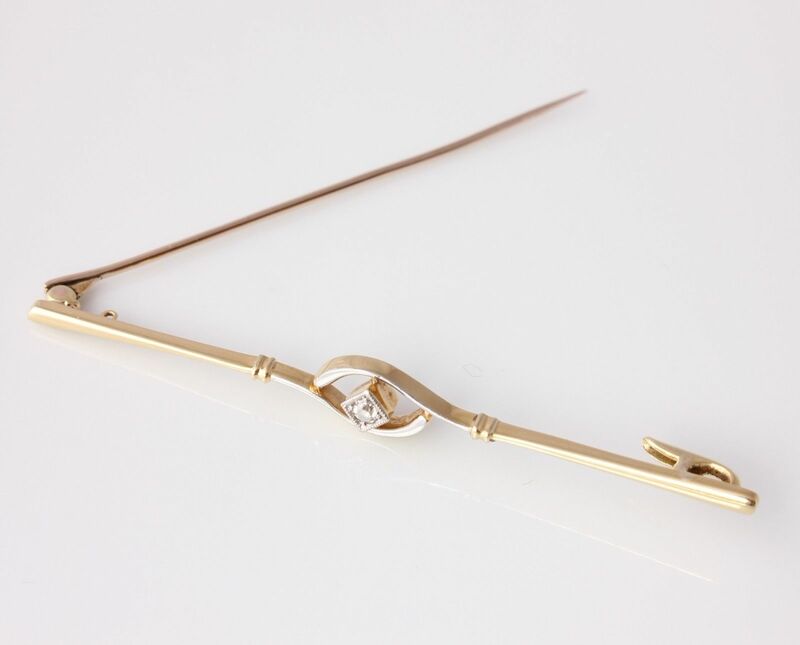 This stylish antique natural diamond brooch is crafted in 15ct gold and dates from the early 20th century. 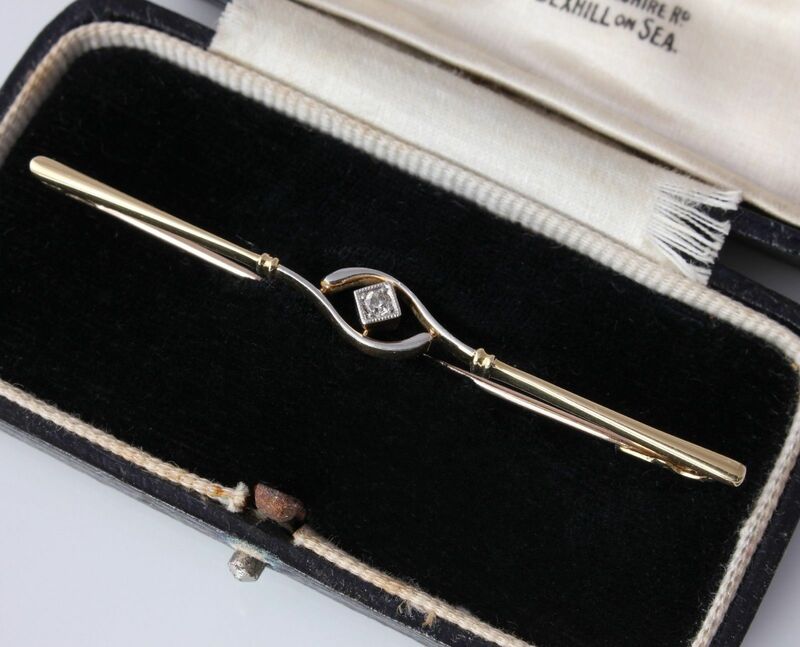 The Art Deco brooch which comes with a fitted presentation case has an old brilliant-cut natural diamond set in a white gold mount to the stylised gold bar and a safety pin fitting to the reverse. A beautiful quality antique brooch that would make a wonderful gift. Materials: 15ct gold, Natural diamond. Stone details: The natural diamond is bright, lively and sparkly. 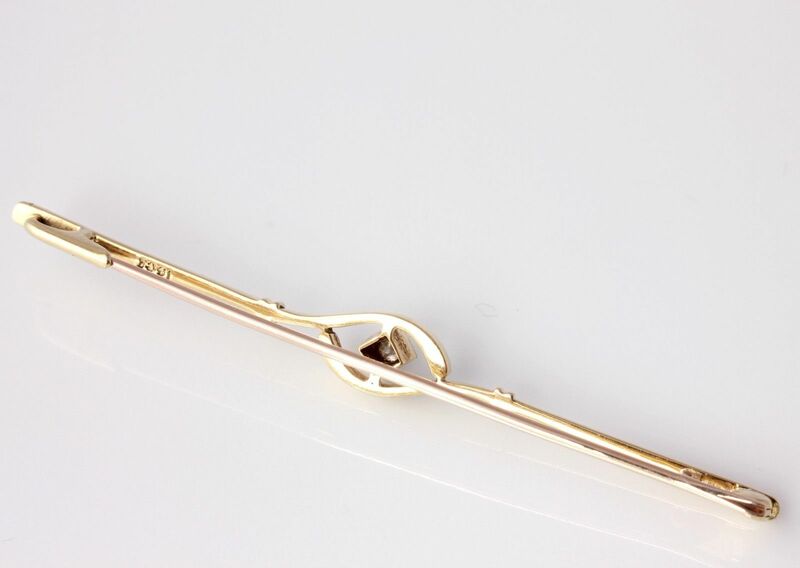 Hallmarked: Marked 15ct for 15 carat gold. 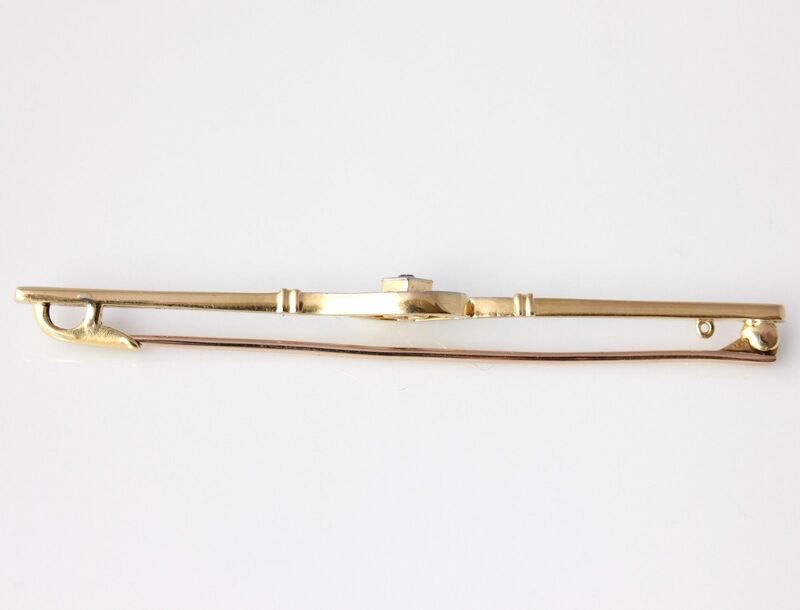 Length of brooch: 6.2 cm approx. Weight of brooch: 3 grams approx. Condition: Excellent antique condition. 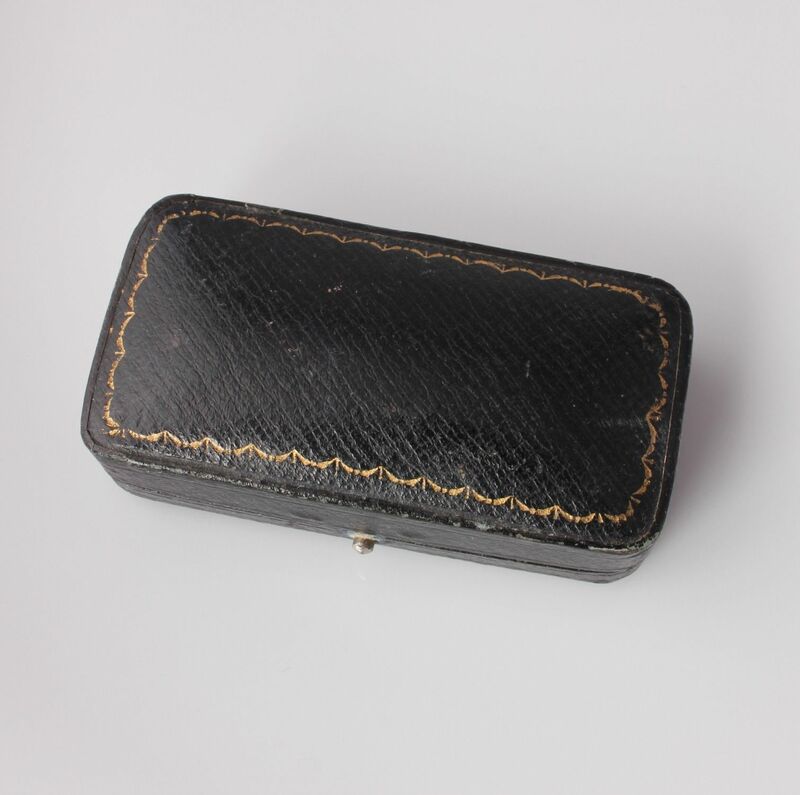 Comes in an antique fitted case which has slight wear. Please see pictures.